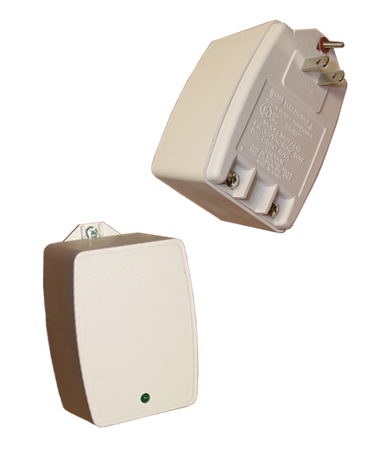 This handy AC power adapter is designed for plugging into a standard North American 110/120VAC power outlet. Output is 24VAC at up to 40VA. A green power LED shows you the power status. Screw terminals for power cable attachment. Housing is beige colored molded plastic.